Worry lines are horizontal lines that run across the forehead. These lines are caused by the folding of skin when the frontalis muscle contracts. Prominent or scarred lines in this area can make some people look worried when they are not. This area is quite sensitive to Anti Wrinkle Injections and smaller amounts of toxin are often required to treat this muscle relative to other areas in the face. 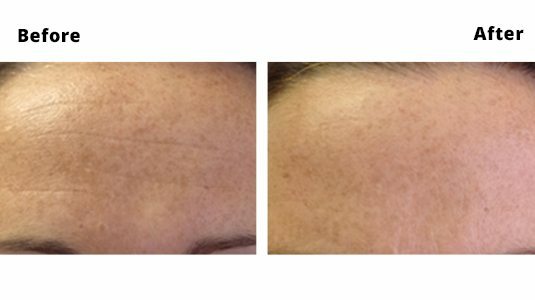 For this reason, this area responds very well to Anti Wrinkle Injections and dramatic results can be achieved. However, over treatment of this area can be quite noticeable as several celebrities unfortunately have demonstrated, so we are very cautious and have a policy of under treatment with free follow up ‘tweaks’ afterwards if necessary. This policy and service applies to all areas where we use Anti Wrinkle Injections, but especially with worry lines.